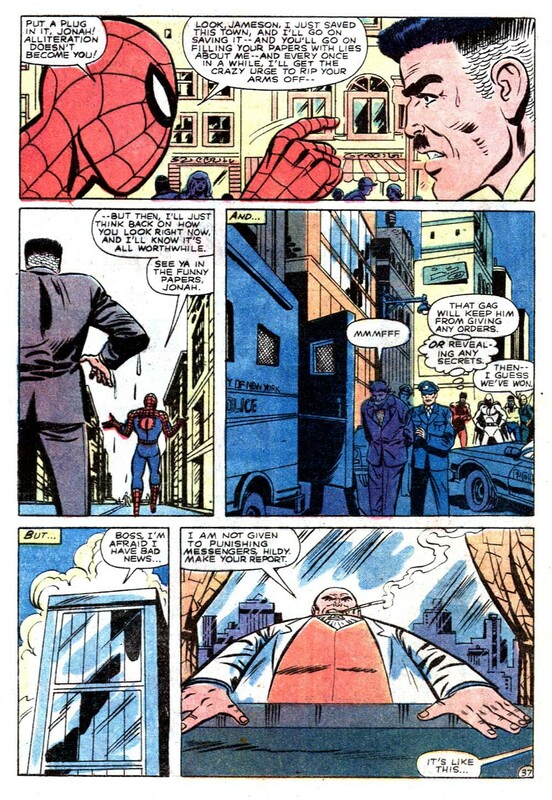 Kingpin manages to lure Spider-Man, Daredevil, Moon Knight, Power Man and Iron First to a charity event hosted by J. Jonah Jameson. 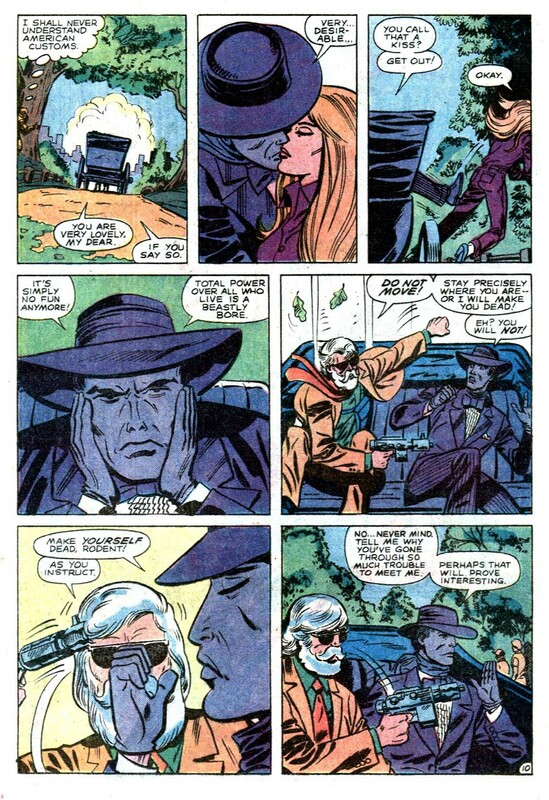 His plan is for Purple Man to kill them all and then have Killgrave killed afterwards. Matt grabs the cigar and throws it and yells there's a fire. 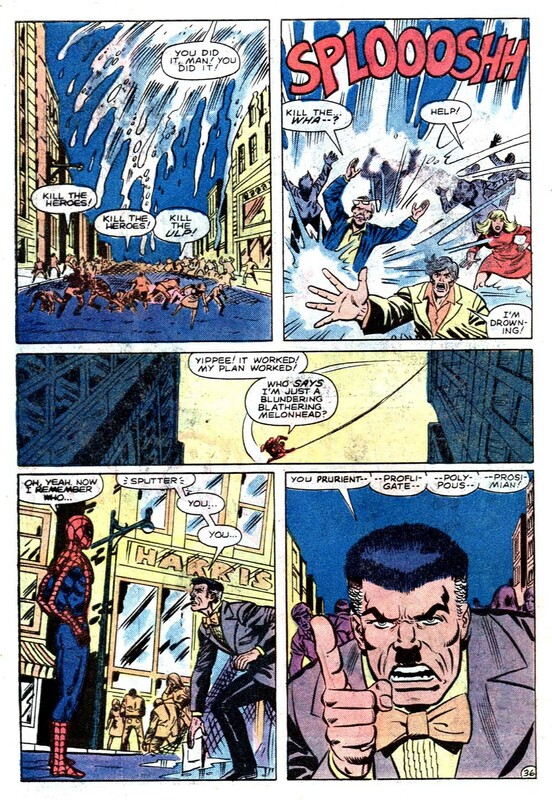 After some confusion (Moon Knight thinks Spidey was sent to kill Jonah, Luke and Danny think Moon Knight is the criminal, etc) all five are on the stage. 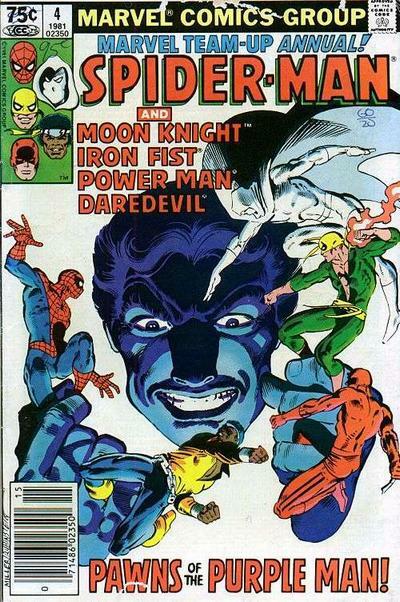 Outside, the team-up of Spidey, Luke and Iron Fist are able to stop Killgrave's mob by breaking a water tank and dousing them with water. Good comic. 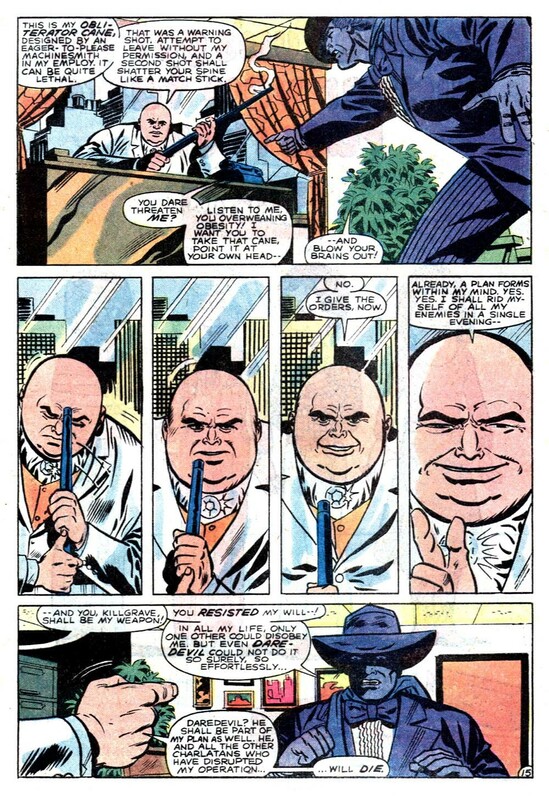 The Kingpin is in top form resisting Killgrave and vowing vengeance, while Killgrave is bored and crazy. 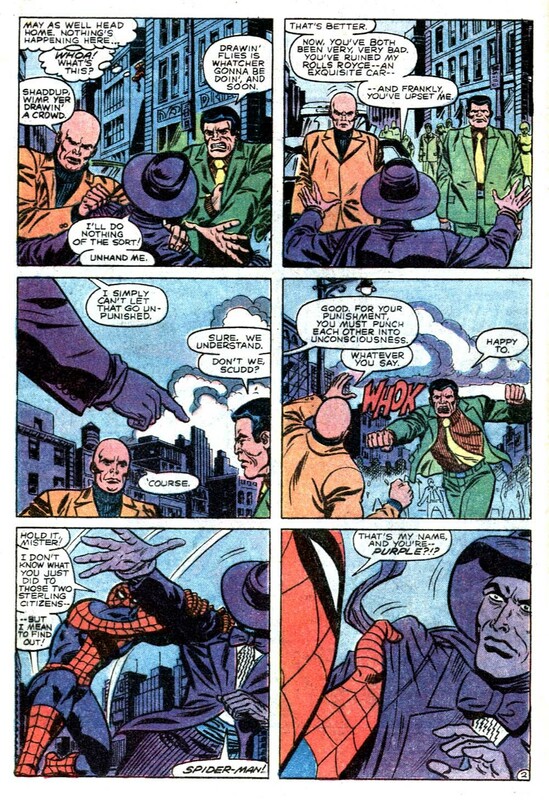 Plus, Fisk's assassin is named Heinrich von Schnickelschnapp. Heinrich looks like he's wearing a bad disguise. I swear, if he'd turned out to secretly be working for Doctor Doom, I wouldn't have been surprised. Dude has never been seen since. Go figure. Huh. 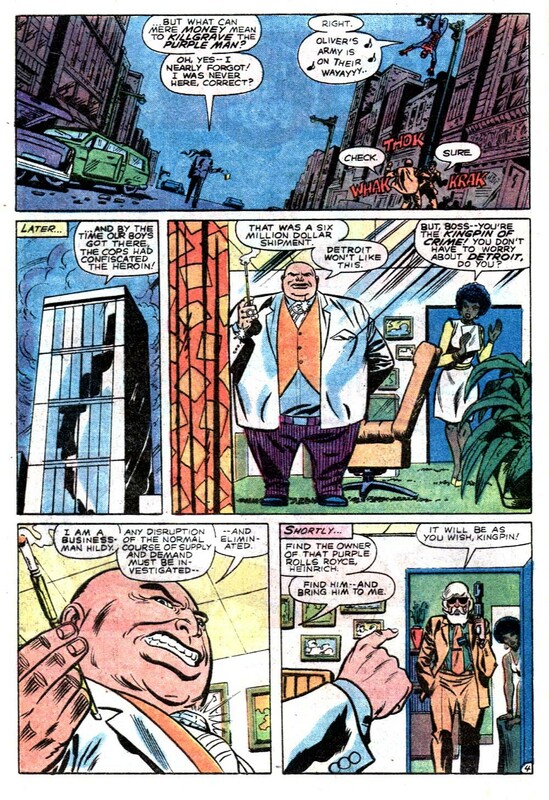 Kingpin, shutting down Killgrave's influence, and on their first meeting no less. Damned impressive. Yeah, I would watch the hell out of D'Onofrio and David Tennant doing that scene. Yeah, almost a shame they killed Killgrave off in the MCU. and post Defenders we don't even have a Hand who can bring him back. I have to admit, I'm kind of amused by Killgrave's "okay, do that then" response to stuff. Flexible. 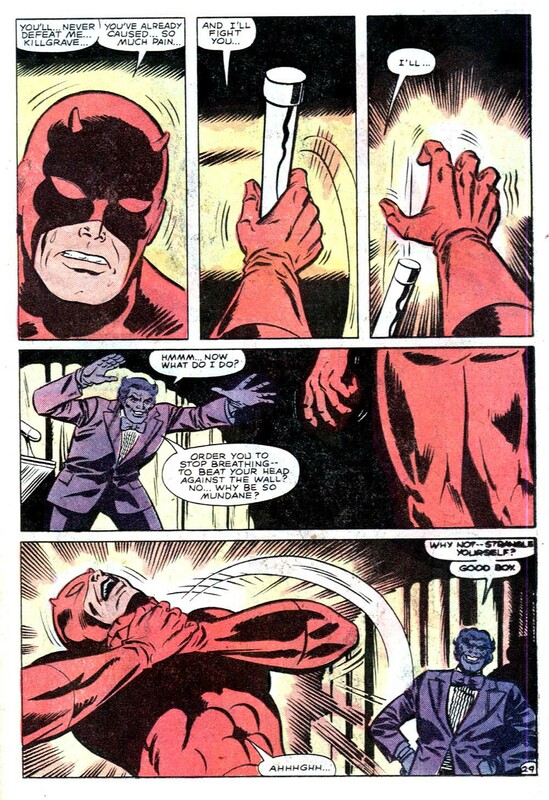 Okay, Fisk being able to resist Killgrave is pretty cool. That’s Doom level willpower. Other people may hear D'Onofrio for Kingpin, but my brain supplies Roscoe Lee Browne. Browne is still my fave as well. Not quite. 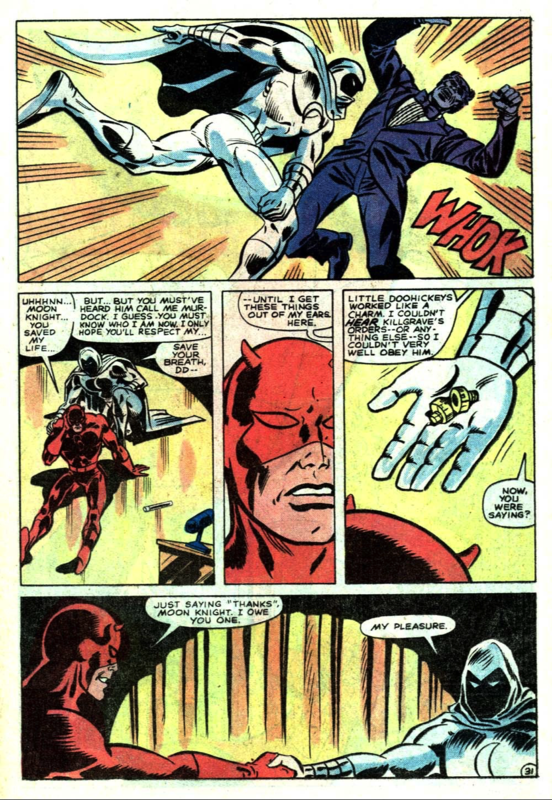 When Doom did it Killgrave had been amped up by Doom's equipment so that he could affect the whole world. So, what heroes can resist Killgrave? 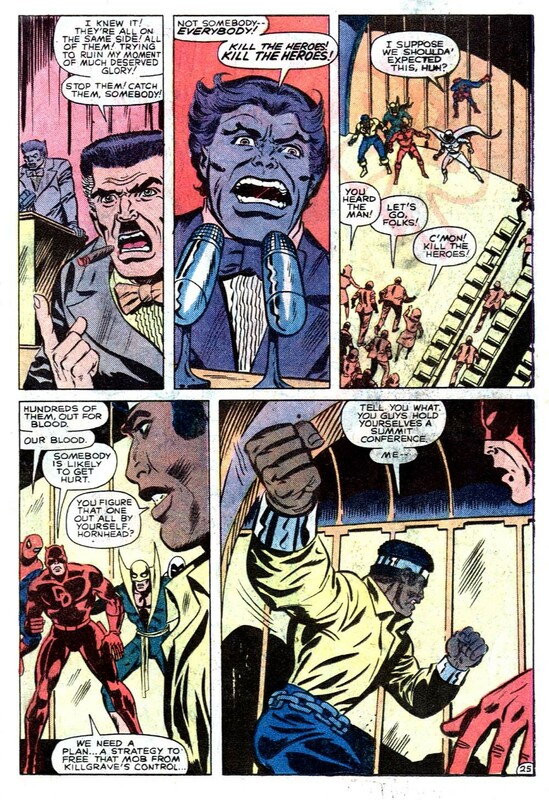 Luke Cage has resisted him in an epic Thunderbolts moment. Also Wonder Man resisted due to having a unique body composition. That's the only official ones coming to mind, the rest are all speculation. I don't think he's encountered Emma Frost, Professor X or either Phoenix, but high-level telepaths with sufficient training should in general be able to fight back if not outright resist. Frost in particular could likely block him out in her diamond form. Psylocke and the Three-in-One likely aren't powerful enough, while Quentin Quire wouldn't have the training to block him despite his power level. 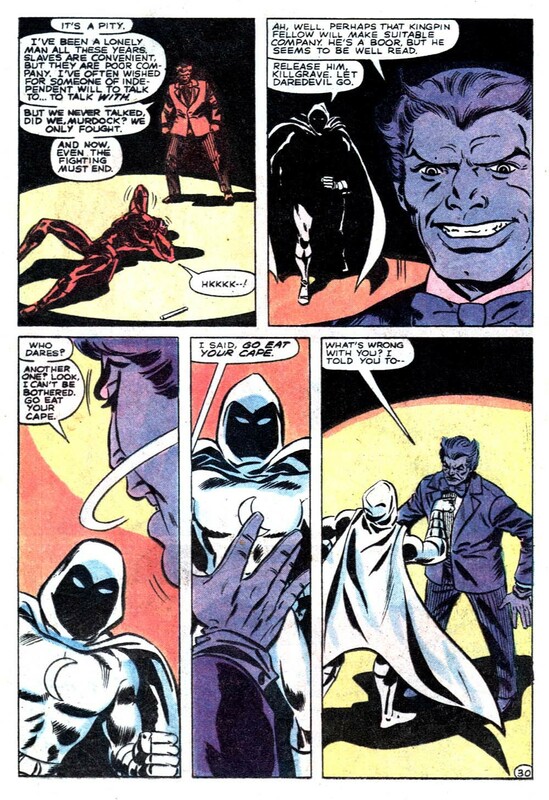 I've seen it theorized that Ghost Riders should be able to resist Purple Man with the Penance Stare. 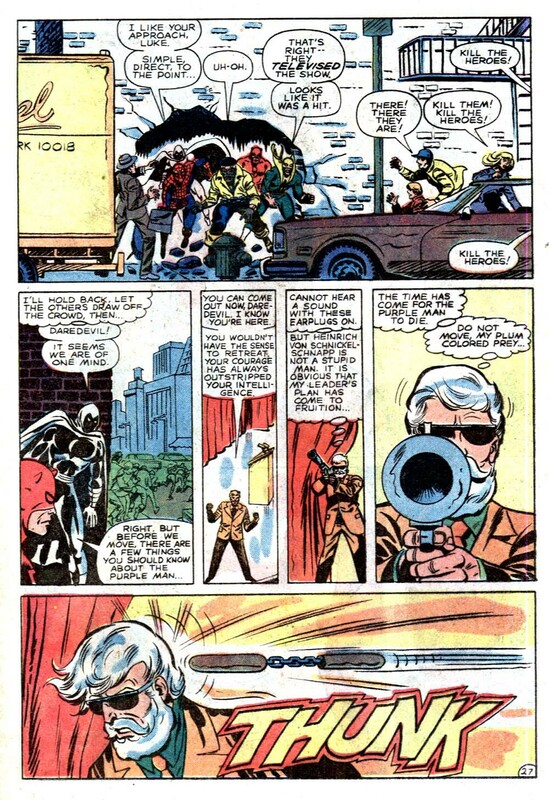 As far as unusual body compositions go, Iceman would be able to block him out so long as he is fully converted into ice. Ben Grimm may or may not fall into the same category with his rocky make-up depending on how he's being written. 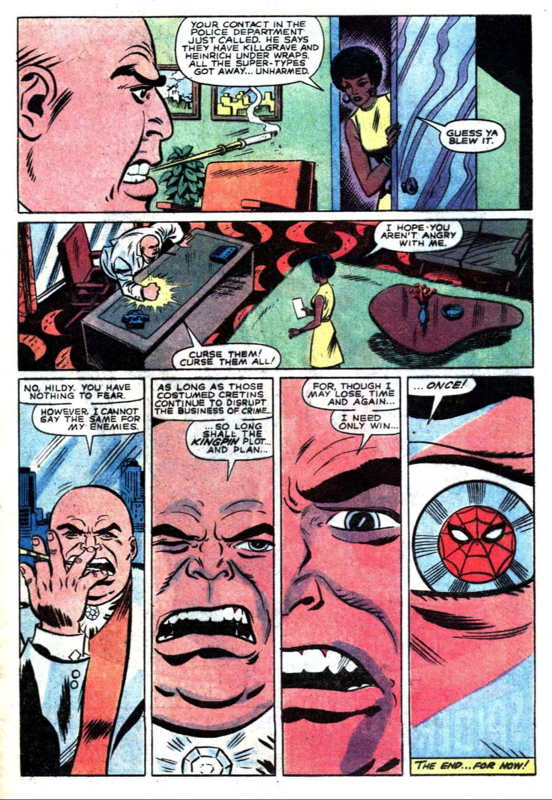 Luke Cage has resisted him in an epic Thunderbolts moment. Luke had nanites in him that negated Killgrave's pheromones for that occasion. GR's a freaking skeleton. If Killgrave's pheromones work on the flesh-impaired I've yet to see this. Any of the robot heroes, like Vision or Jocasta or Machine Man, one would assume. 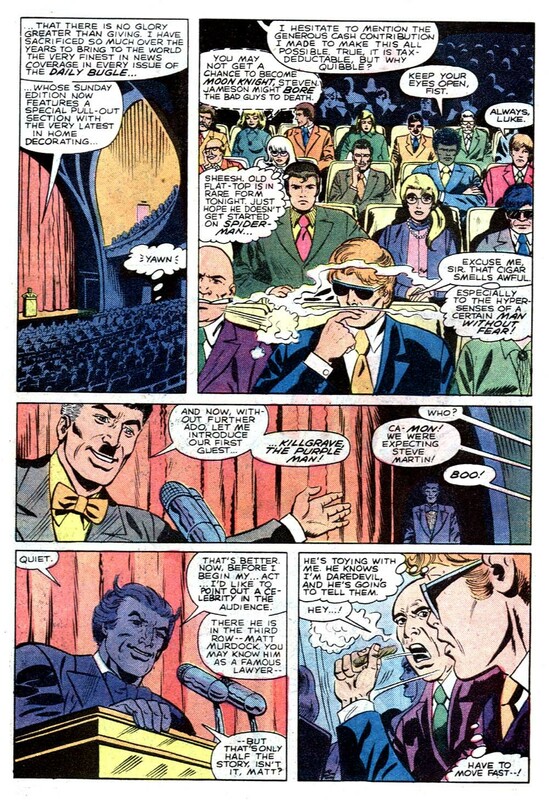 Still, an impressive accomplishment for a street-level super-villain. 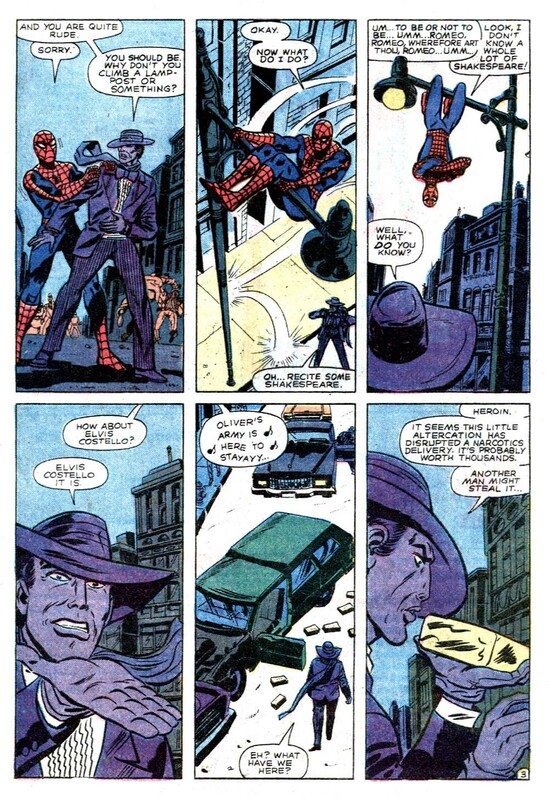 "(Can you picture Vincent D'Onofrio and David Tennant acting out this scene?)" 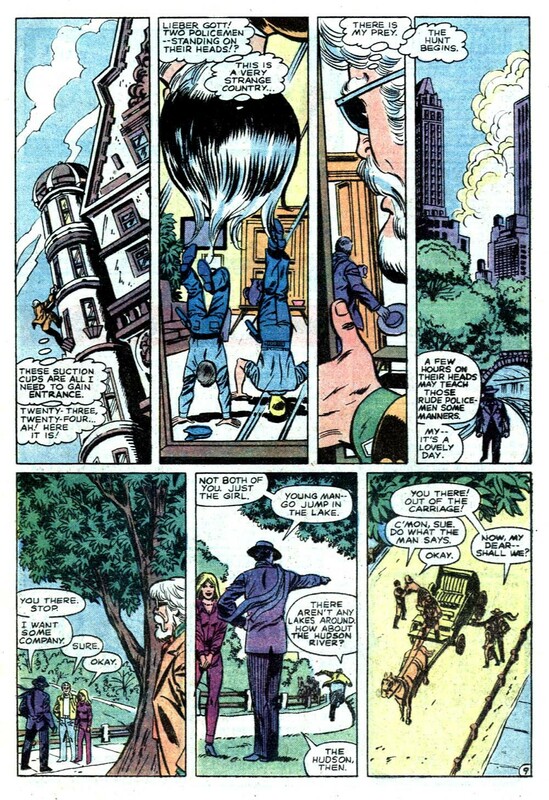 This having been 1981, I'm going to read " eager-to-please machinesmith " with a capital M.
Someone on Tumblr noted that, given the version of Oliver’s Army Spider-Man was singing, he actually sang the N-Word on the streets of New York City. 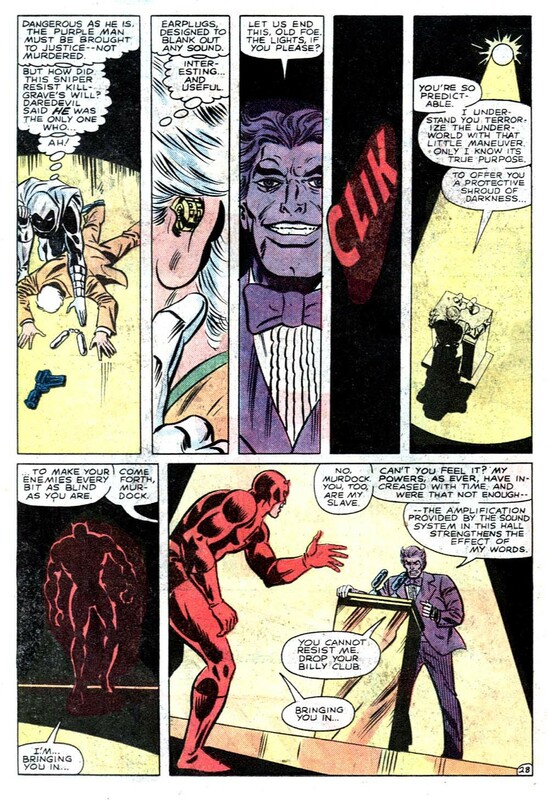 Y'know... the depiction of Purple Man's powers here actually manage to be creepier than they are in Jessica Jones. Because people respond to him commands with cheerful or neutral responses like "can do". At least with the Netflix series, people usually seem confused or horrified by what they're being made to do, as opposed to cheerfully agreeing to whatever they're told. Well at least Danny Rand would be safe if that happened on Netflix.